The Child Brain Injury Trust has offices in Oxfordshire, Scotland and Northern Ireland, and Child and Family Support Coordinators across the UK. Scroll down the page to find out more about our members of staff. Rachel has been with the charity since 2007 and is our Head of Fundraising . Rachel leads the fundraising team across the country as well as developing and managing some of the charity’s key partnerships. 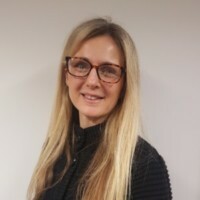 Rachel is also responsible for the creation, development and success of the charity’s Legal Support Service and has close relationships with many of the UKs leading serious injury practices and Barrister Chambers. Outside of work, Rachel enjoys going out with her friends and is the Queen of the Box Set! Louise has worked with us since 2008, and brought with her over 20 years’ experience in the delivery of Learning Interventions. In the last 6 years Louise has personally delivered ABI training to over 6,000 professionals across many sectors, including Education, Healthcare and more recently Youth Offending, and is often asked to speak at Conferences and Learning Events. Over the last five years Louise has been instrumental in highlighting the issues of childhood acquired brain injury (ABI) and the links with offending behaviours. 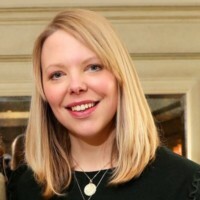 She is founder member of the Criminal Justice and Acquired Brain Injury Interest Group (CJABIIG), and won the Stephen MacAleese Award for Inspiration by an Individual in the field of ABI, for her work in this area. Louise is looking forward to taking the Child Brain Injury Trust into the technological future with the development of new e-learning initiatives to enable greater access to learning and the understanding of childhood ABI. Steph started with us in January 2011 as our Finance Officer and has since joined our Senior Management Team as our Finance Manager. 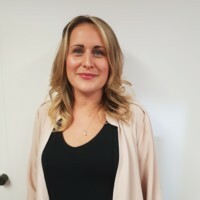 Although still part-time, all her efforts are engaged in supporting the organisation in the provision of essential financial management information for Lisa and the team. In the current economic climate, Steph has a strong focus on cash flow. She works closely with the fundraising team on new funding opportunities in order to sustain our current level of service and in the hope of extending into new areas. Steph originally trained and worked as an accountant, having previously had a successful career implementing database systems for large companies. 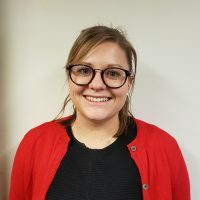 Harriet joined the Child Brain Injury Trust in August 2017 as Marketing Manager. Harriet spent 4 years as Marketing Coordinator in a commercially driven role within the technology sector. Harriet actually began her career in a very different field having completed various Equine related qualifications, so enjoyed 5 years in the racing/sport horse industries as Stud Manager. In her spare time she is kept very busy with an array of different animals including 6 working dogs, 2 horses and 2 ducks. Harriet thoroughly enjoys horse racing and beating on shoot days throughout the shooting season with her husband who is a Gamekeeper. 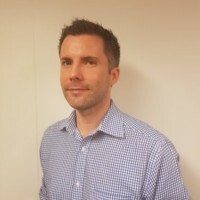 As Head of Brain Injury Services, Gerard has operational control of the UK wide team of child and family support coordinators who work across the UK network of major trauma centres. Gerard also manages the team of community child and family support coordinators providing information, support and advice to families living with the effects of childhood acquired brain injury within the community. Gerard works with local commissioning leads and health and social care teams across the country to identify opportunities to increase and improve the support available to children and families affected by childhood acquired brain injury. Gerard holds a BSc from the University of Ulster, Belfast, and an MSc in Child Psychology with Queen’s University, Belfast, and has a strong belief in the importance of educational and emotional development of children and young people. Gayle joined the charity in April 2013 as Regional Events and PR officer for Northern Ireland. 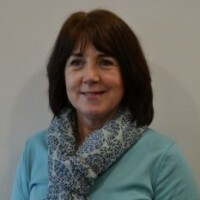 Gayle is responsible for raising the charity’s profile locally, organising events and supporting fundraising activities. This is a brand new role and Gayle brings over 10 years experience in corporate marketing, most recently working in brand management. Outside work Gayle is a busy mum who enjoys baking, reading and going out for dinner so someone else can do the dishes! Amelia Joined the Child Brain Injury Trust in September 2016 as the Marketing and Fundraising Coordinator. 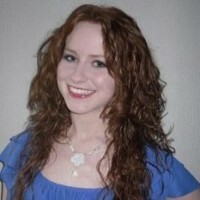 In her current role Amelia looks after the Social Media networks and other marketing activities. She also supports the fundraising team and individuals with their fundraising activities. Amelia graduated in 2014 with a degree in Criminology and Sociology, then went straight out to Zambia to help set up a women’s empowerment charity that will help vulnerable women in Zambia! In her previous role she worked for a marketing agency whilst doing volunteering for various different charities. In her spare time Amelia attends football matches to support her team Wolverhampton Wanderers. She is also very keen on fitness, attending the gym on a regular basis and climbing mountains in Slovenia in recent years. Francesca joined the Child Brain Injury Trust in November 2016 as regional fundraising officer for London and the South. Her job is to raise funds to ensure the continuation of the Child and Family Support Services. Based in North London, she started her career in charity fundraising at Compton Fundraising Consultants, placed at North London Hospice. Before that she studied Philosophy at Leeds University, then spent two incredible years teaching children in Hong Kong. She cannot think of a more worthy cause than supporting children and families affected by brain injury, and is delighted to be part of the team. 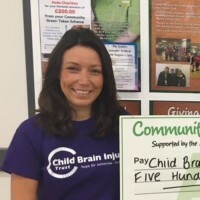 Laura joined the Child Brain Injury Trust in January 2019 as part of the fundraising team. She is based in Manchester, and works across the midlands and the north of England on the Trust’s regional fundraising activities. Prior to joining the Child Brain Injury Trust, Laura studied Philosophy, Politics, and International Relations at Cambridge University. 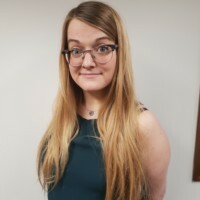 She previously worked as an Account Manager and Agent at a speaker bureau in London, and has held various freelance roles within theatre and social support work. She is delighted to be working with the team at the Child Brain Injury Trust. Natasha joined the Child Brain Injury Trust in June 2016 as the Office Coordinator. Natasha has recently completed CIPD Level 3 and is currently studying Level 5 CIPD and is now also looking after the HR side of things. Natasha will probably be at the other end of the line when you call. She is very organised and keeps everyone tidy! In her spare time she likes to spend quality time with her partner, daughter and partner’s son going to theme parks, walking and swimming. She likes to wine and dine with friends and has recently gained an interest in gardening. Natasha also has a list of 101 things to do, recently she has completed her 3rd (and final) 10k Wolf Run and passed her full Motorbike Licence and a half Marathon, the next thing on the list has not been decided. ???? 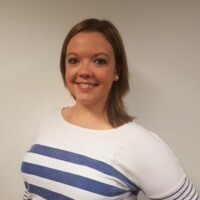 Laura joined the Child Brain Industry Trust in August 2018 as the Impact Evaluation & Monitoring Officer. Laura has a background is recruitment having worked within the Construction industry for over 10 years. 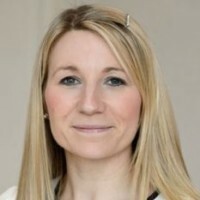 She is based at Head Office working within Stephanie Bremner’s team. Outside of work Laura’s two children, Charlie and Martha keep her very busy. She enjoys spending time as a family, holidays and watching a good film. 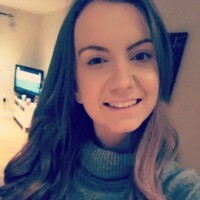 Charlotte joined the Child Brain Injury Trust in October 2018 after working in a similar position for two years. She is currently undertaking her AAT Level 2 in Accounting and is looking forward to using these skills in the future. She is based at Head Office supporting Stephanie Bremner in the Finance Team. Charlotte is the mother of one little boy and enjoys spending lots of time with her family. She likes to travel and goes to visit family in Ireland every year. In her spare time she enjoys cooking, keeping fit, and looking after her home. 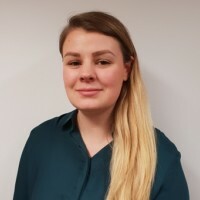 Annabel joined the Child Brain Injury Trust in January 2018 as a part-time administrator. Annabel studied Psychology at the University of Hertfordshire, graduating in 1999. Having spent 10 years working as a Project Manager for a company within the leisure industry she brings a wealth of commercial and administrative experience and is used to working in a busy office environment. A mother to two young children, Annabel is an active member of the school PTA and regularly helps organise fundraising events. She is a keen golfer, and is currently training for her first triathlon! 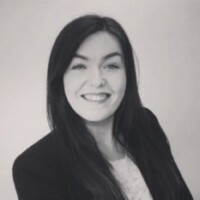 Rachael started her career in administration working for the management company of a shopping centre and went on to work for a busy international events company where she scheduled large corporate events. But following a family members brain tumour diagnosis she decided that, after having her 2 children, she would like to focus her career on working for charities where she felt she could give something back. 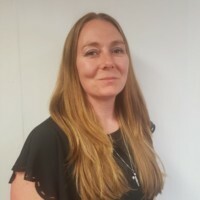 So she spent some time working for a local hospice as a corporate fundraiser and has now joined us in the Information and Learning team where she assists with our workshops and learning materials. Outside of work Rachael is a busy mum of 2 girls who, along with her husband, enjoy family trips in their caravan, music and gin! 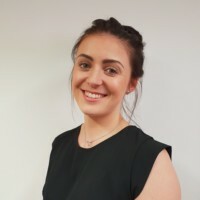 Lauren joined the Child Brain Injury Trust in May 2014 having previously worked within the private sector as a Solicitor, and the voluntary sector as an Advice and Information professional. Lauren is the Contracts and Communication Officer for Northern Ireland and responsible for the maintenance and development of the organisation’s contractual relationships within Northern Ireland, monitoring and evaluating the service we provide, as well as assisting with the preparation of events held for families affected by Childhood Brain injury. Outside work Lauren is a Mum to two young sons and enjoys playing football in the garden, reading and cooking. Kelly joined the charity in March 2015 after having previously worked in the voluntary sector for 3 years. She is a trained social worker and has experience in setting up projects that support families out in the community and is thoroughly enjoying the challenge associated with the work that we do. 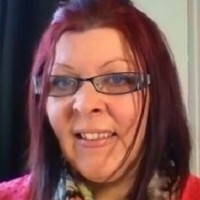 Kelly is also a foster carer for children who have additional needs and in her spare time, when she has any, she likes to travel and experience different cultures. She works from home in Newport and covers the whole of Wales. Beth started working for the Child Brain Injury Trust in Scotland in February 2008 as the ABI Coordinator for the East of Scotland and has recently taken up a Lead role within the organisation which means that as well as offering emotional and practical support to families and professionals in the region, she is now also able to offer support and guidance to her colleagues across the North of the UK. Beth’s background is in the field of Psychology and before joining the charity worked with families who were affected by Domestic Abuse. Beth also spent a year working as a nurse with adults with an acquired brain injury which is where she first discovered her interest and passion for working with people affected by acquired brain injury. Beth lives in Edinburgh with her dog and is a keen baker in her spare time. Jacqueline is one of two ABI Coordinators working within Northern Ireland. She provides support to children with ABI and their families, in addition to facilitating awareness sessions with associated professionals. She has recently graduated with a BSW (Hons) in Social Work, in addition to having a BSc (Hons) in Social Psychology. Her past experience has included working as an assistant psychologist with adult acquired brain injury, in addition to support work with autism, dementia, Learning Disability and psychiatry. She has further experience of working on placement as a student social worker in community adult mental health and children’s residential. When at home Jacqueline’s interests include art, especially sketching nature and wildlife, going to the cinema for a good horror or comedy and listening to music. She enjoys circus arts such as aerial silks to keep fit and most importantly enjoys spending time with her Golden Retriever Kurt. 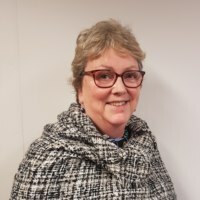 Margaret joined the Child Brain Injury Trust in August 2018 as a ABI Coordinator working in the Royal London Hospital. Margaret provides emotional and practical support for young people and their families following childhood acquired brain injury, at the acute stage of injury. Margaret also supports the transition from hospital back home and into the community. Before joining the charity, Margaret was a community Midwife. 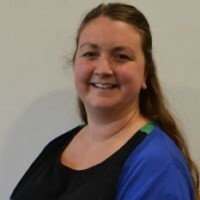 She holds a BSc (Hons) Degree in Midwifery and is passionate about working with families, helping them to improve outcomes to the best of their ability. Working in the Community and Hospital setting has provided Margaret with a good insight into a myriad of difficulties that children and families face after acquired brain injury. When Margaret is at home she enjoys spending time with family and friends, going for long walks in the countryside, going to the theatre and reading. 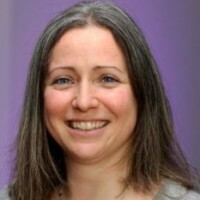 Corina is the ABI Coordinator for Great Ormond Street Hospital. 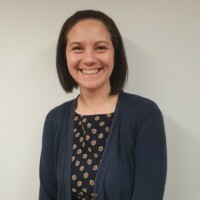 Corina is a foster carer and has been for years with a background working for the Local Authority in Children’s Services as an ARC Outreach worker, providing Intensive Therapeutic support to children and families who are experiencing developmental trauma. Corina enjoys reading, walking, going to the gym and family days out with her children. In her spare time she also enjoys comping and has won some fantastic competitions over the years. Corina also enjoys music festivals and going to see her favourite artists play. 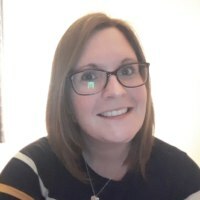 Natalie joined the Child Brain Injury Trust in February 2019 as a ABI Coordinator for the East of England, she provides emotional and practical support to families, young people and professionals following childhood acquired brain injury. 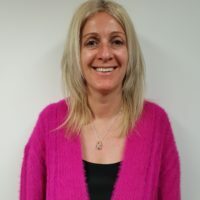 Natalie has over 20 years experience of working with children, young people and families with multiple and complex needs including learning difficulty/disability, ADHD, Autism, drug and alcohol misuse, domestic violence, developmental trauma, youth offending, and child protection. Natalie has been part of many projects across the region including projects and events specifically focused on meeting the needs of vulnerable young people with an extensive range of needs, this has included young people experiencing issues with anti-social behaviour, SEN, and other complex vulnerabilities. Natalie has delivered training and support sessions for families and professionals to provide a greater understanding of these vulnerabilities and how these can be managed and sustained for families as individuals. Outside of work Natalie enjoys all outdoor activities including walking, climbing, and mountaineering, one of the most significant achievements being a climb to base camp on Mount Everest! Natalie also loves spending quality time with her family who also share similar interests and past times. Maria joined the team in December 2015 as the ABI Coordinator for the North West and North Wales. She provides emotional and practical support to families and works alongside many professionals and other agencies involved with children and young people with acquired brain injuries. Prior to being in post, Maria was employed in the voluntary sector for 8 years working with parent carers of children with a wide range of additional needs. This involved running support groups and arranging Parent Forums. Maria comes from varied legal background which she feels has been a great benefit to her working with families of children with additional needs. In her spare time Maria enjoys live music, travelling, crafts and spending time with family and friends. Sharon joined the team in November 2016 as the ABI Coordinator for the midlands. She provides emotional and practical support to families working alongside many professionals and other agencies involved with children and young people with acquired brain injuries. Sharon works with professionals at Birmingham children’s hospital. Prior to joining the charity, Sharon has held roles in Early Years Education, deputising an early years setting. 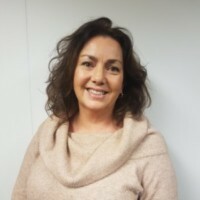 She has a passion for supporting the care, education and development of children with particular interests in Special Educational Needs and Child protection. 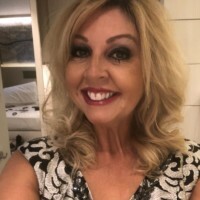 On a personal note, Sharon has four children that keep her very busy, enjoys reading travelling and learning and socialising with family and friends. 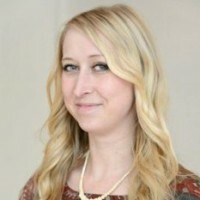 Lucy is the ABI Coordinator for Thames Valley Region. Lucy graduated with a Psychology degree in 2013 from the University of Surrey. During the degree Lucy completed a placement year in an adult brain injury rehabilitation setting working as an assistant psychologist. Lucy has worked in brain injury for over 5 years, with children and adults within the charity sector and NHS. Outside of work, Lucy has many hobbies including power lifting, long walks in the countryside and getting lost in a good book. 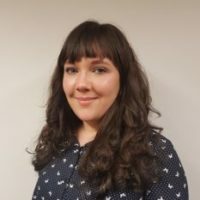 Before joining the Child Brain Injury Trust in February 2017 as the ABI Coordinator for Glasgow and The West of Scotland, Jennifer worked as an Autism Advisor with Scottish Autism. Prior to this, she studied Psychology at The University of Glasgow and graduated in 2015. Throughout her time at University, Jennifer volunteered for the Scottish Association of Mental Health. Outside of work Jennifer enjoys spending time with friends, playing guitar and staying active. Before joining the Child Brain Injury Trust Emily worked in the voluntary sector supporting disabled adults and children as an enabler. She began volunteering with a local charity aged 14 and become employed there at 16. She worked with a wide range of disabilities and has experience working with children with physical, social, emotional and behavioral disabilities. She did this around full time, further and higher education and gained a degree in Law from Bournemouth University in 2015. In her spare time Emily likes to read, watch live music and bake. She also loves to travel and has recently returned from the trip of a lifetime where she spent 4 months travelling around Central and South America. 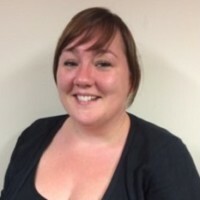 Carmel started working for the Child Brain Injury Trust in Yorkshire and Humberside in June 2017 as the ABI Coordinator. 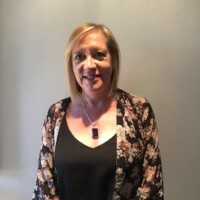 Carmel has nearly 20 yesrs experience of supporting children and families; initailly as a residential social worker and more recently in various training and education settings. She has extensive experience in supporting children with ADHD and ASDs. Interestingly, Carmel is also a qualified swimming coach specialising in disability swimming. In her spare team she enjoys triathlon and endurance trekking events as well as walking the dog and camping with her three children. Prior to the Child Brain Injury trust, Sharniece was working in education, as a child support assistant. This involved working with children, and the families of children with a range of Special Educational Needs. Part of Sharniece’s previous work included advocating the integration of children with autism from specialist to mainstream school. Providing academic and home support through workshops, interventions and class room assistance aimed at building academic attainment. 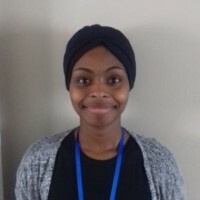 Sharniece has a degree in Psychology, counselling and therapies with a keen interest particularly in cognitive neuro-psychology, in her spare time she enjoys home craft and sewing. Sam joined the Child Brain Injury Trust in August 2017 as the ABI Coordinator for Greater Manchester. Sam graduated with a Masters in Social work from Manchester Metropolitan University in 2012. Her past work experience has includes working in adult mental health services and learning disability charities. Prior to joining the Child Brain Injury Trust Sam managed a play centre for children aged 0-14 years old with learning disabilities and their families. Within this role she facilitated; workshops, training and information events, created support groups for parents and siblings, as well as accessible play sessions for the whole family. Outside of work Sam enjoys travelling and holidays, meals out with friends and sewing. Helen has over 10 years experience of working directly with children and young people with many needs and abilities from all walks of life. She has worked actively with many vulnerable children with disabilities and abilities helping to keep them safe and healthy and in education. Her last role was working with young disabled adults project managing bespoke courses leading to City and Guild qualifications helping them to find jobs in the community. 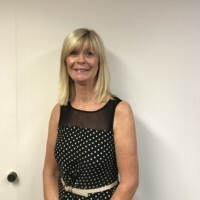 Helen has recently held a voluntary position as ‘Well Being’ governor for a local Academy she has sat on many boards, meetings, open events and training on policies and procedures during this time. Helen’s aim would be that all children and young people have safe, fulfilling and dignified lives, inclusion empathy and self-esteem are her priority when working with children and their families. Helen has two grown up daughters, enjoys playing golf, cooking and walking her very old dog. 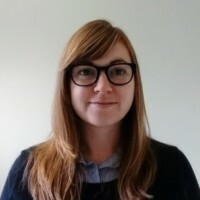 Catherine joined the charity in June 2018 as the ABI Coordinator for the North East. Her background is in SEN and she is a qualified teacher and has worked in mainstream secondary, special schools and FE. She is also an accredited trainer. Catherine has lived in many parts of the country and likes to travel and visit new places. In her spare time she likes to read, she also enjoys gardening (as long as it is dry and there is no evidence of slugs or snails), cooking and researching her family tree. She has 3 grown up sons and a gorgeous new granddaughter. Laura works as the ABI Coordinator for South London. She has worked in a variety of education and community-based roles supporting young people with additional needs, along with their families. She has a keen interest in neuro developmental disorders, having held several autism specialist roles. In her spare time, she enjoys going to concerts, galleries, and having afternoon tea! 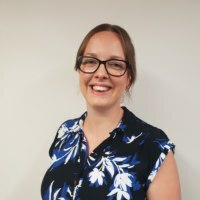 Isobel joined the Child Brain Injury Trust in October 2018 as the ABI Coordinator for the South Coast. 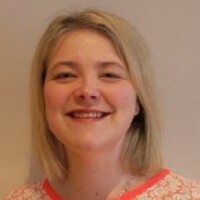 Isobel graduated with a degree in Psychology from the University of York in 2016, returning to complete a Masters degree in Developmental Disorders in 2017. 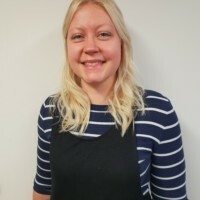 Before joining the Child Brain Injury Trust, Isobel worked in Early Years, supporting children between the ages of 0 and 5 with different special educational needs, including ASD and Down’s Syndrome. Outside of work, Isobel enjoys travelling, cooking and baking, as well as reading as many books as possible!